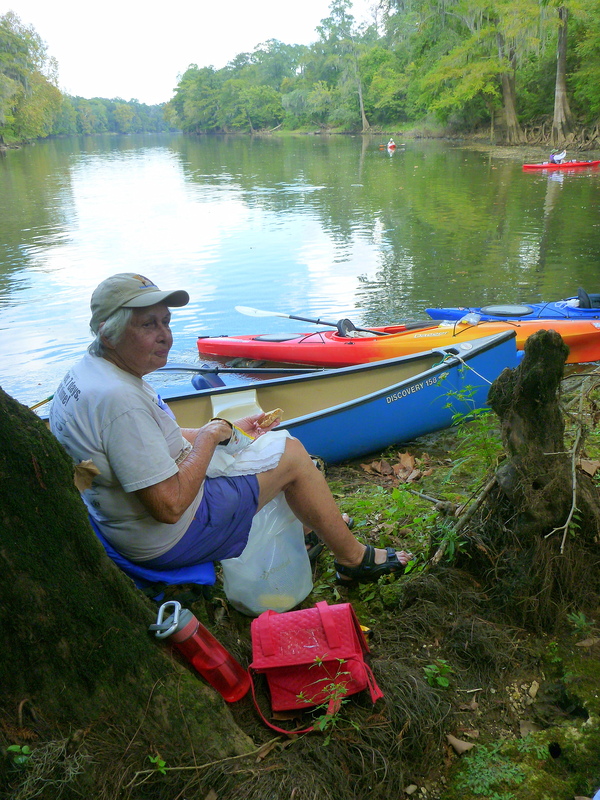 Today was our longest paddle at a little over twenty miles. With 5 successful and exuberant days behind us, everyone’s confidence level and enthusiasm in being a part of, and continuing this awe-inspiring journey was soaring high. Evan Newman even convinced his parents that he was fine to continue paddling after breaking his finger the previous evening while horsing around! 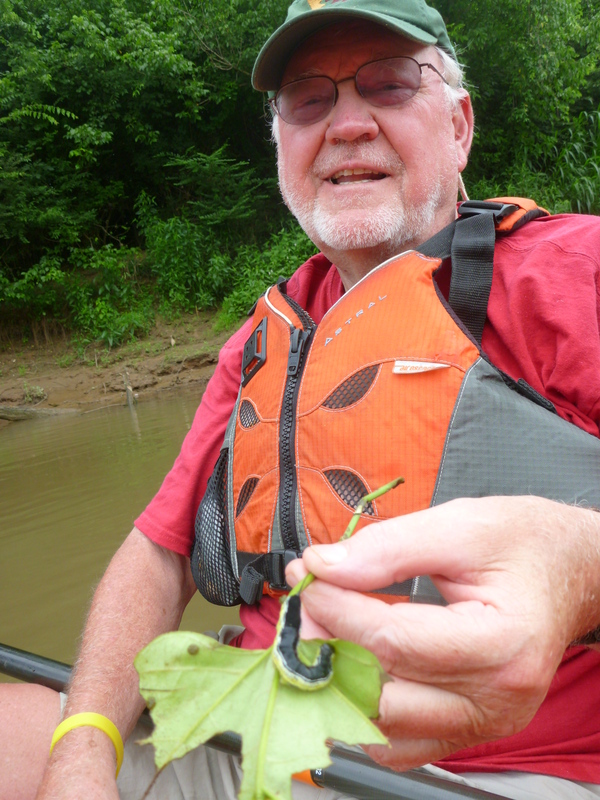 Joe Kidd caught a Catawba caterpillar that he explained is a favorite food of many fish, as it commonly drops into the river from the leguminous Catawba tree leaves it munches on. 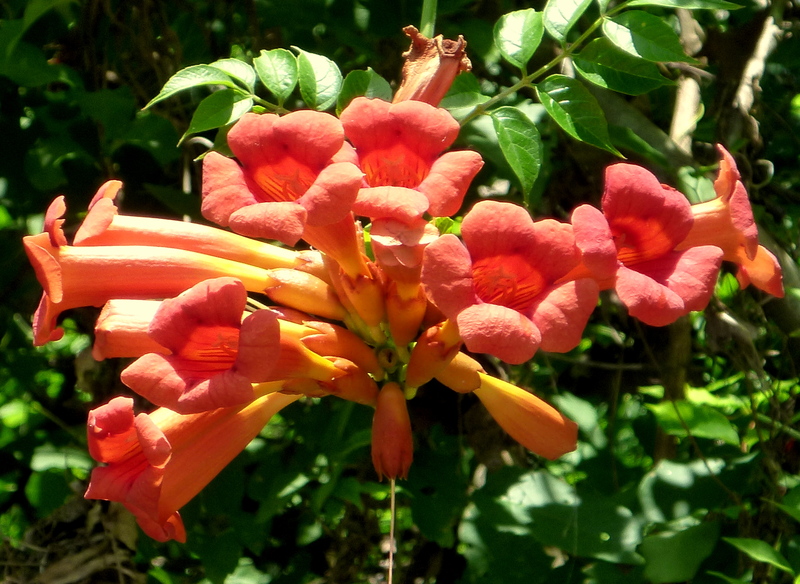 The Catawba tree is a popular tree planted along rivers by fisherman looking to use the ‘worm’ as bait. 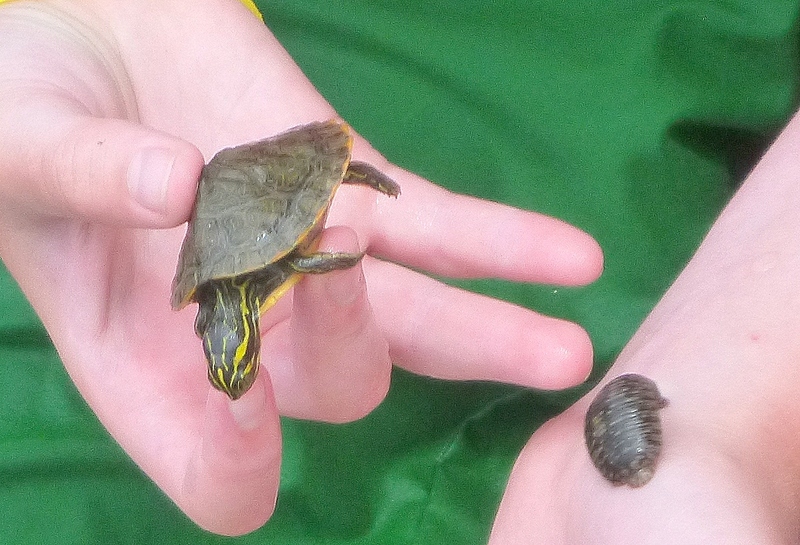 Some of the wildlife seen along the way demonstrated the not so peachy parasitic side of life, including a leach attached to a baby yellow-bellied slider turtle. Every organism has its own unique role to play in the web of life. 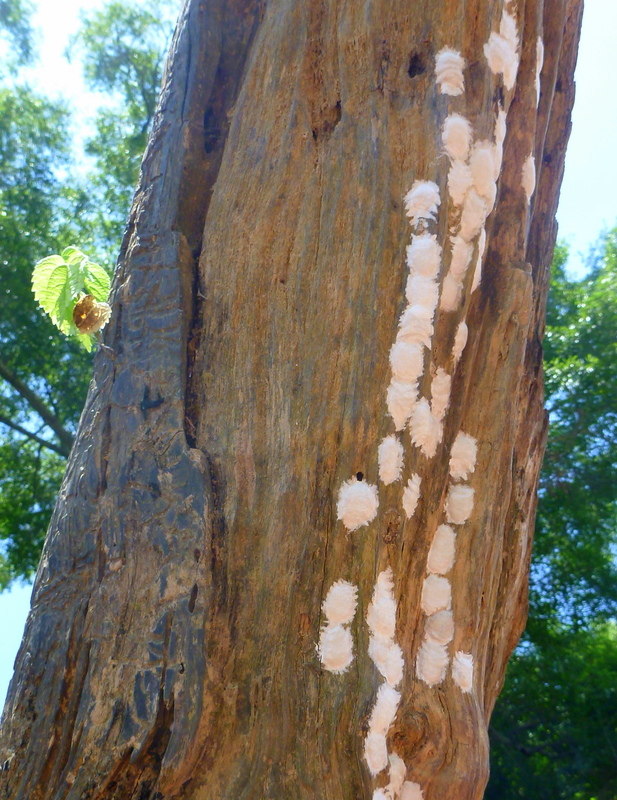 Another interesting sight was the white egg cases of the Dobsonfly dotting the underside of trees and leaves along the riverbank. These little aquatic insects hatch out and drop into the water as nymphs and are fearsome top invertebrate predators with well-developed jaws. 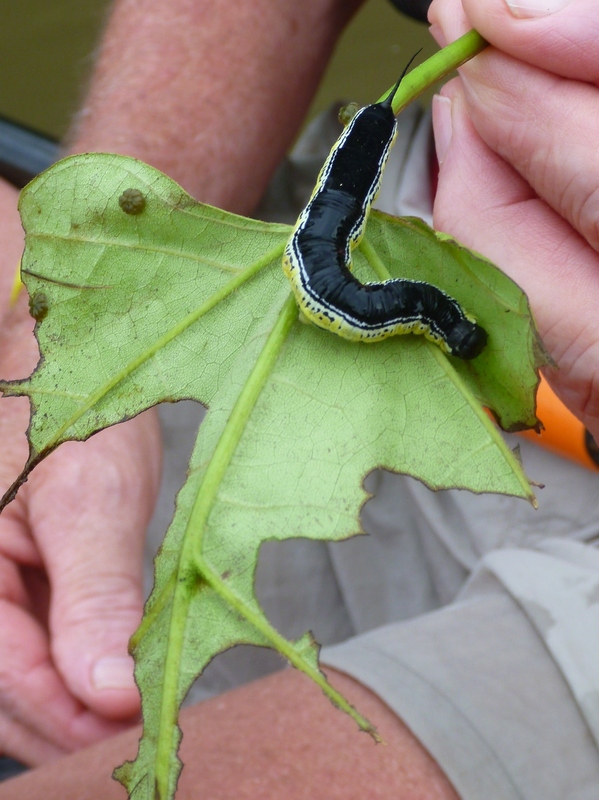 After one to three years they pupate into flying adults, mate, lay eggs and begin the life cycle again. The sun came out in all its glory and paddlers were quick to leap out of their boats to enjoy the various rope swings along the way. 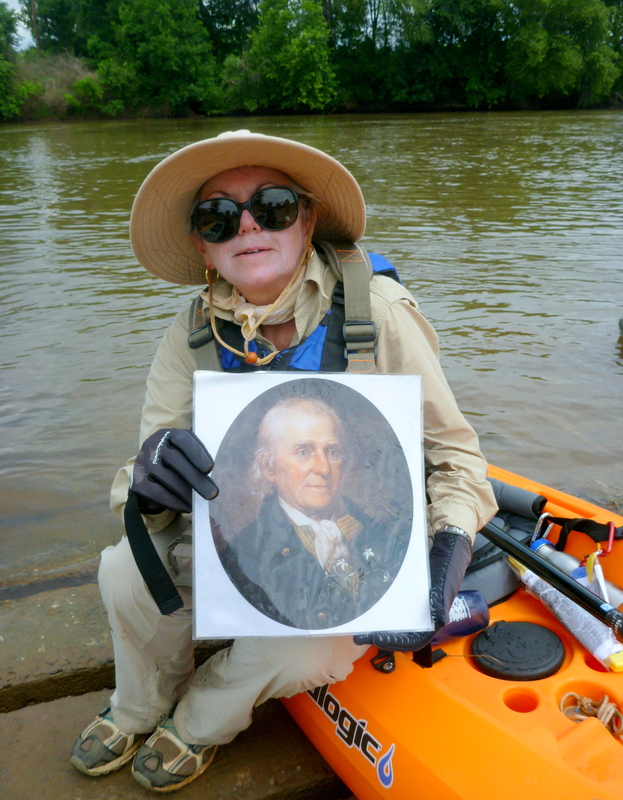 Of all the mascots gracing paddler’s boats the most historic was a photo of 19th century Naturalist, William Bartram who Georgia River Network board member, Dorinda Dallmeyer said she always takes with her on paddling trips. After getting our dose of sun, refreshing rain showers moved in overhead giving the water a silvery hue speckled with sculptural like water droplets. 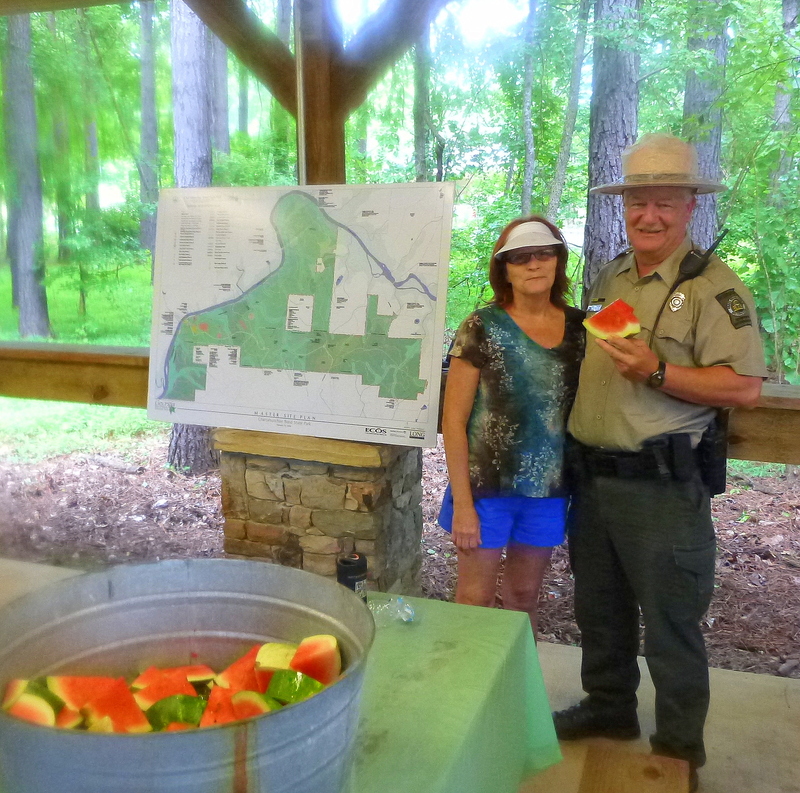 We ended our day on the river at Chattahoochee Bend State Park where we were welcomed with open arms, cold watermelon, and refreshing drinks. 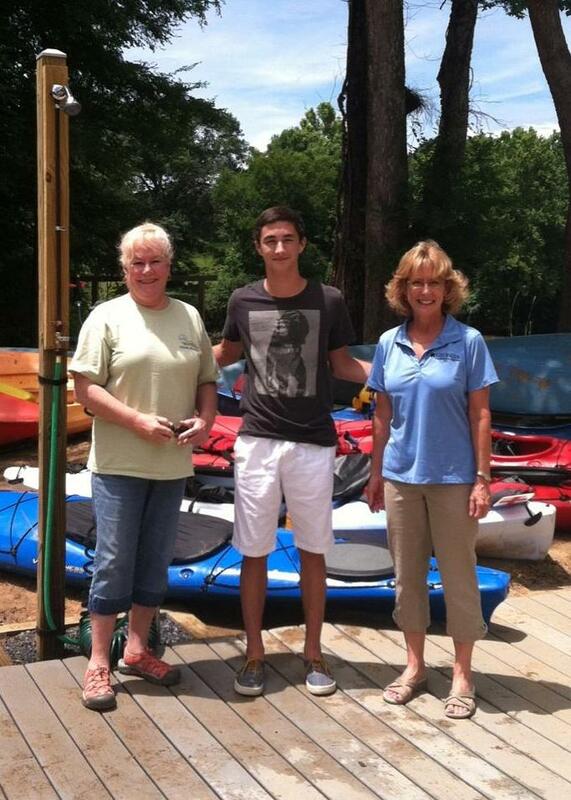 We were also excited and honored to have Georgia House of Representatives Natural Resource Committee Chair, Lynn Smith; Eagle Scout, Harrison Blair, and DNR Parks, Recreation, and Historic Sites Division Director, Becky Kelley show their support and pay us a visit. 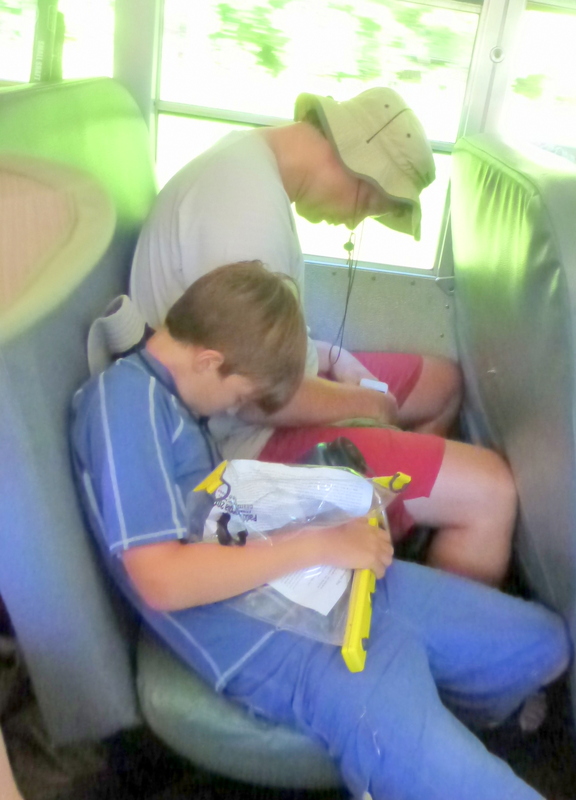 After a fun-filled day on the river, a short rejuvenating nap on the bus was just what some people needed to be energized for the ‘No Talent Show’ that took place later in the evening. The talent show was a big hit with performances ranging from horse-head hoola-hooping, acapella trio’s, and a recorder virtuoso, to comedy routines and a hilarious, skit celebrating Georgia River Network’s Executive Director, April Ingle and some of her memorably funny moments on Paddle Georgia over the last 10 years. 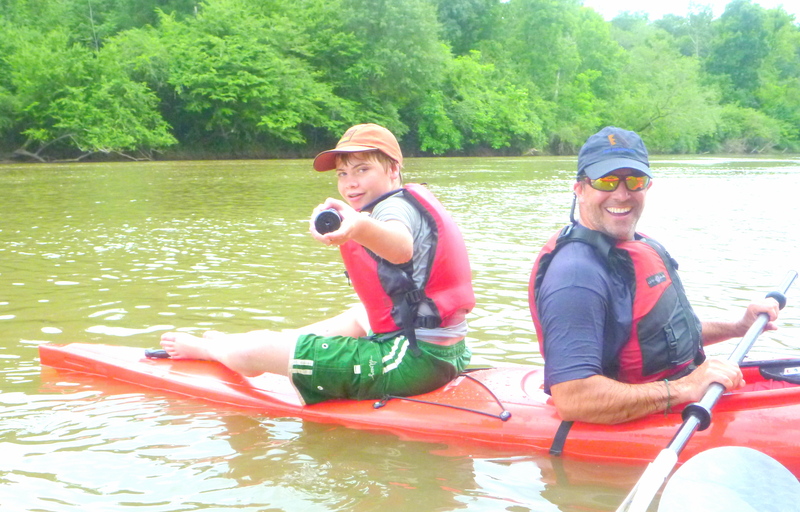 So sad that we have only one more day on the Chattahoochee River! But what amazing memories we will have to take back home with us! 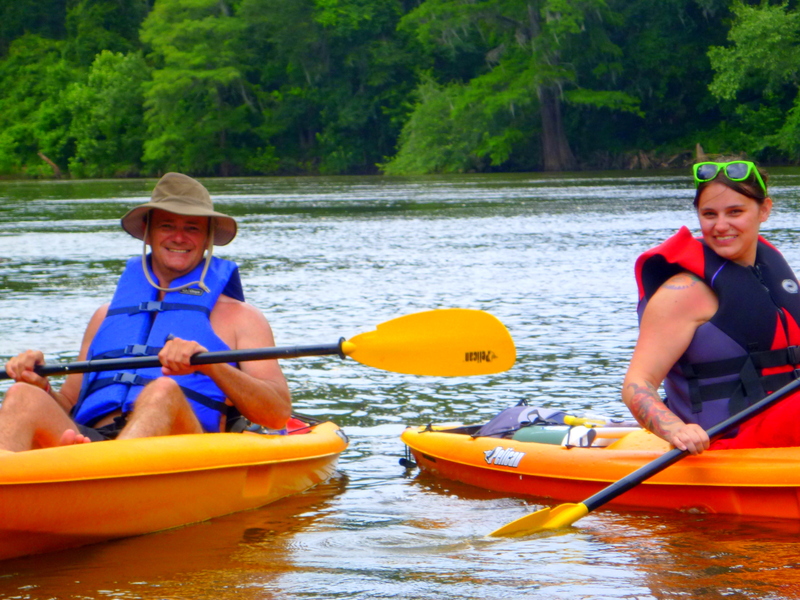 A fter a taste of the week ahead, day 2 of Paddle Georgia 2014 started out with even more excitement than the first! 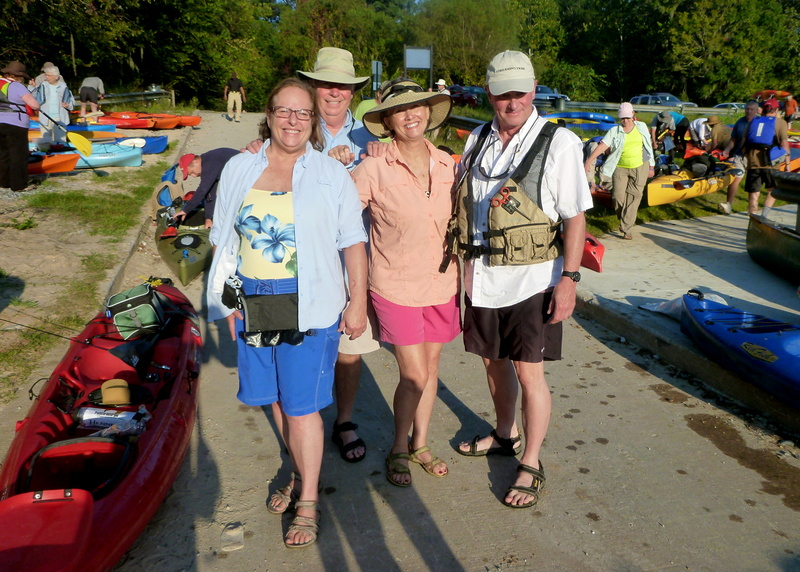 We set out for the days’ 15 mile adventure on Jones Bridge Shoals with g uidance from our savvy safety boaters. The chilly water splashed our faces giving everyone a second burst of energy. Many paddlers took Joe Cook’s challenge of awarding a prize to whoever collected the most golf balls very seriously and could be seen braving the frigid water to collect their bounty of white gold. The beautiful sunny hot weather felt amazing, and a cool spray-down from the devilish Paddle Georgia Pirates was a welcome reprieve to some and a jolting shock to others. 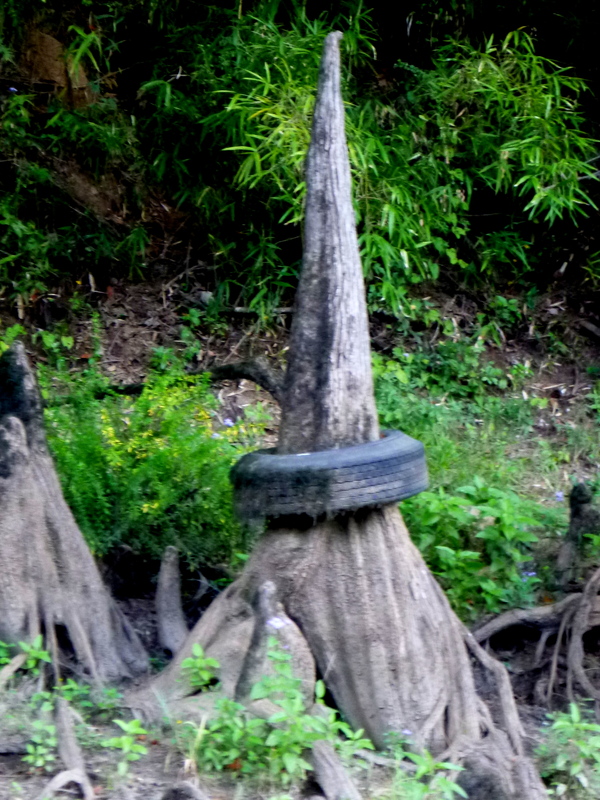 Paddlers have great pride in their personal canoes and kayaks and outfit their boats not only with fancy seats and fishing rods, but also mascots of all shapes and sizes. 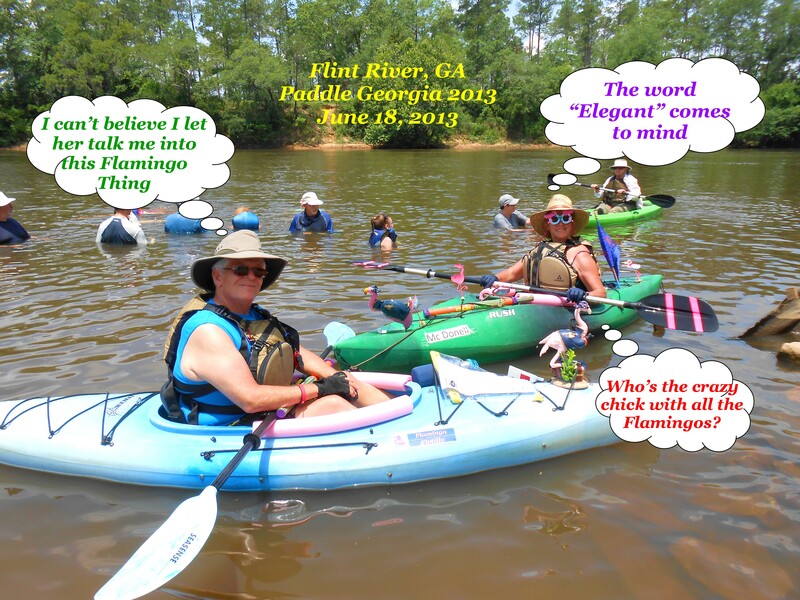 From Godzilla and King Kong to roses and flamingos, nothing is too geeky or posh for Paddle Georgian’s. 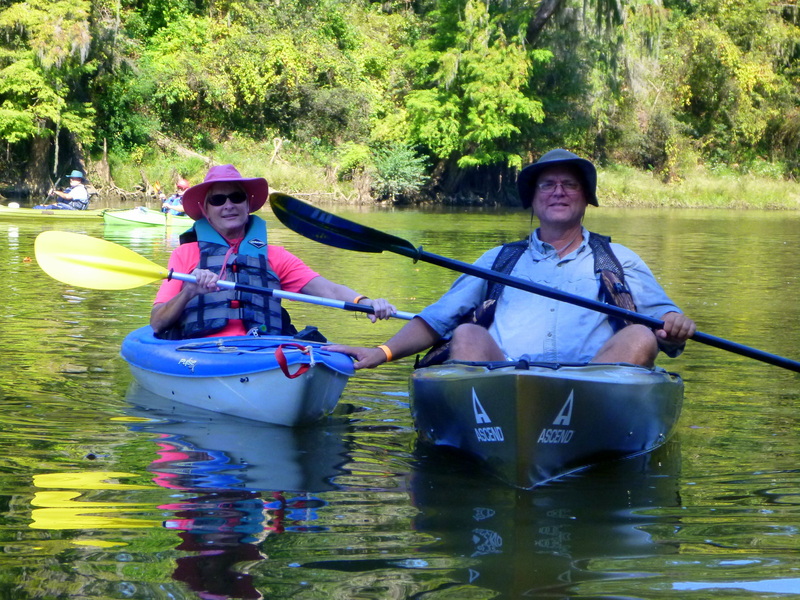 Although we are paddling through metro Atlanta, abundant wildlife could be seen above and below the water. 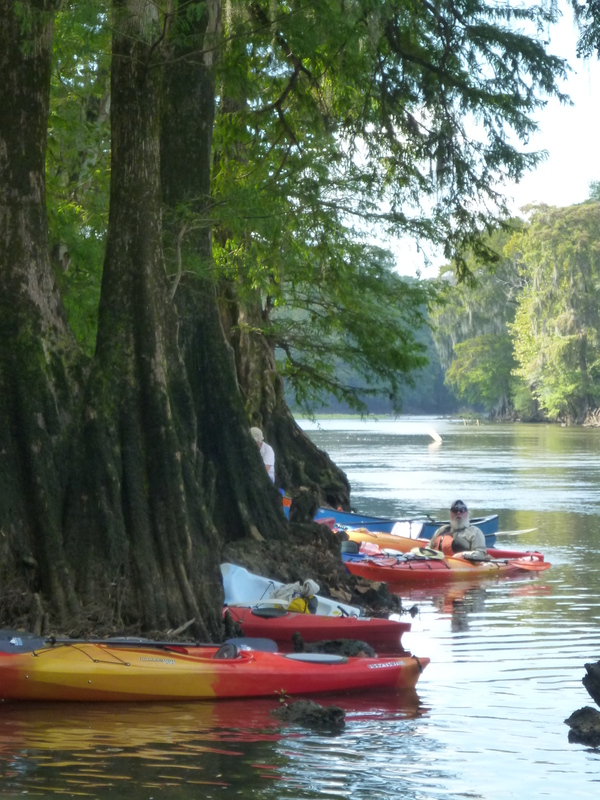 Red Shouldered Hawks, Mallard Ducks, Pileated woodpeckers, Spottail shiner, Yellow-Bellied Sli der turtles, Crane Fly larvae, Muskrat, and River Otter are just a few of the critters paddlers reported seeing along the way. 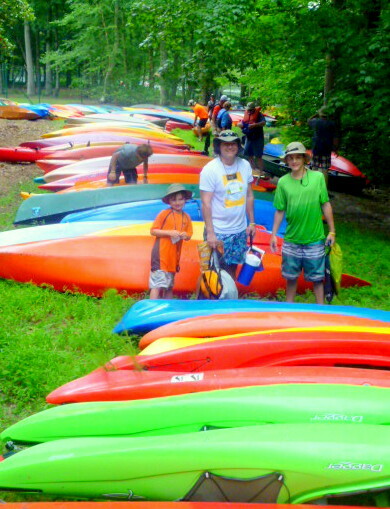 One of the awe-inspiring aspects of Paddle Georgia is the number of families that participate year after year and who have made this an essential part of their summer vacation. 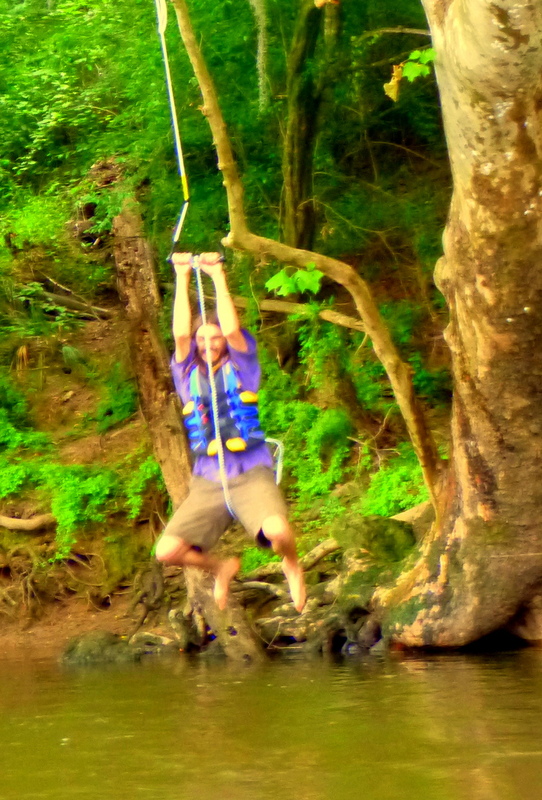 Georgia River Network’ staff have watched kids grow from boisterous bouncy boys and girls into mature young men and women in the 10 years Paddle Georgia has been in existence. The day ended with informative and entertaining presentations by Naturalist Drew Lanhan, Chattahoochee Riverkeeper, Sally Bethea, and yours truly about Georgia Water Trails. 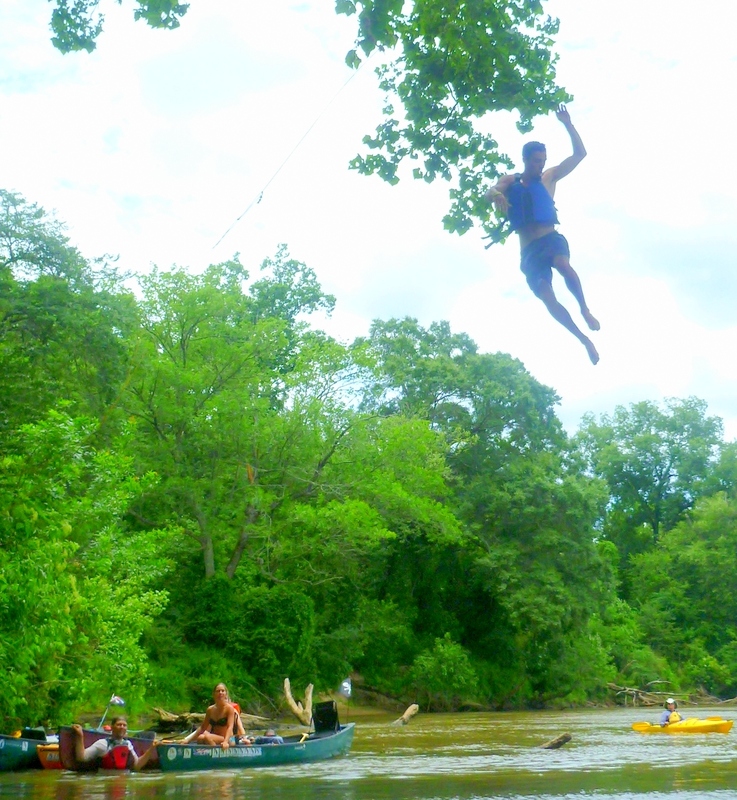 Looking forward to another fabulous day on the Hooch tomorrow! 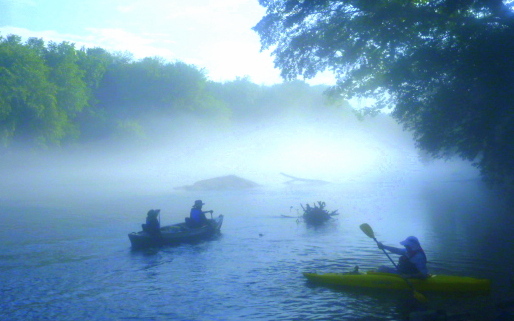 A beautiful mist shrouded the river as participants first set paddle on the Chattahoochee at Settles Bridge . 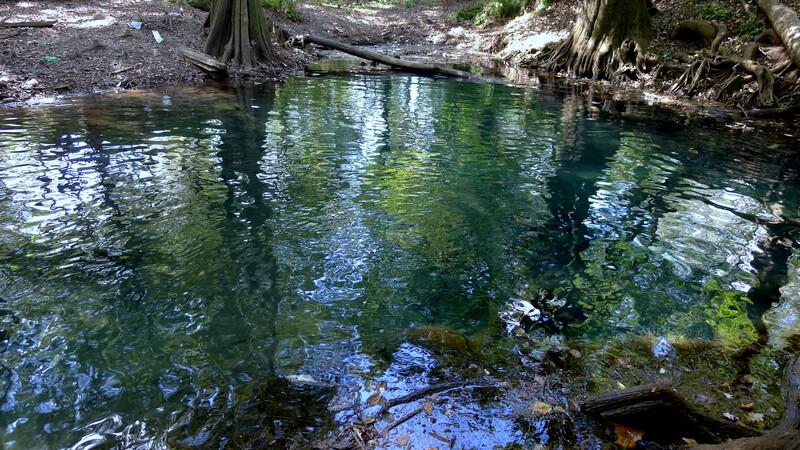 The water was crystal clear and the river bottom lined with colorful gravel and gnarled drift wood. So refreshing and majestic…. 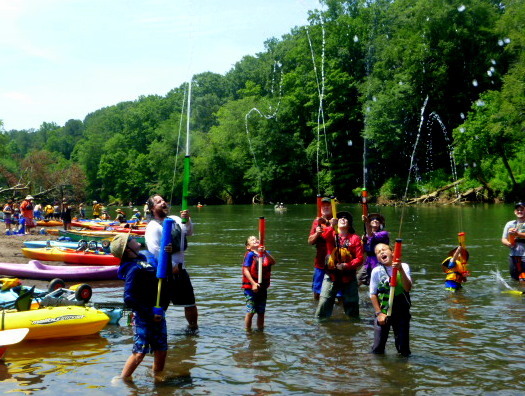 The STEM (Science, Technology, Engineering, & Mathematics) Youth group, most of whom had never paddled before, were a bit hesitant to set out at first, but as soon as they hit the river they paddled their canoes as if dancing on the water- smiling from ear to ear. Be sure to check out the Paddle Georgia Youth Blogspot blog throughout the week. 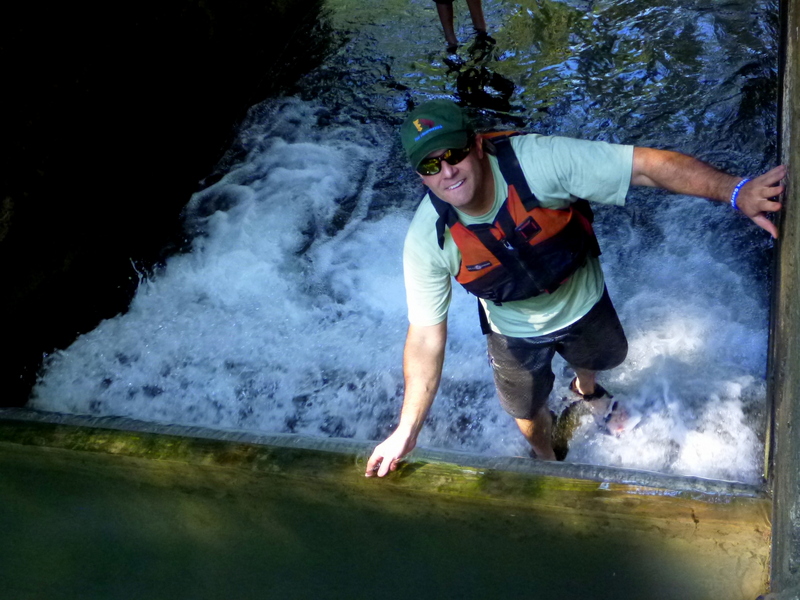 Ichthyologist Camm Swift was quick to find a Sucker Fish, that he explained was most likely freshly skewered by a Great Blue Heron and accidentally dropped back into the river. 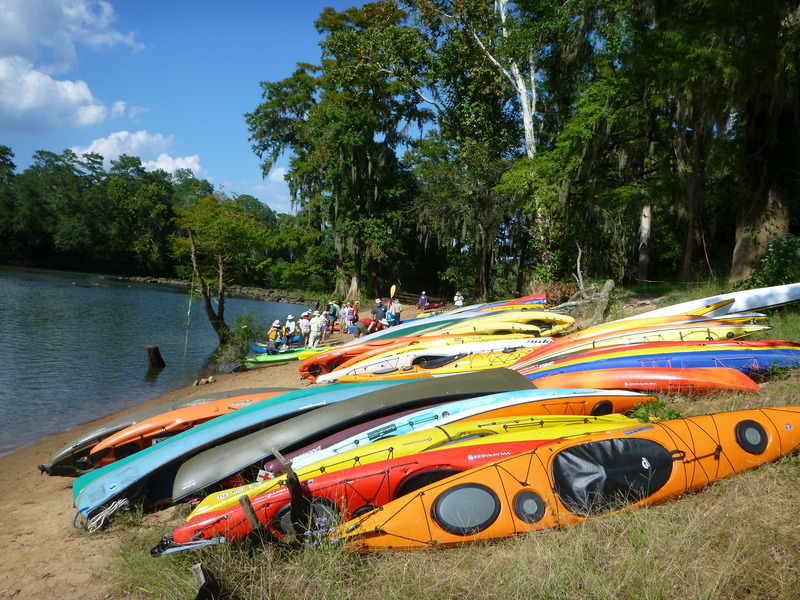 And speaking of fresh fish, kayak fishing in Georgia has gr own exponentially in popularity in recent years, and Paddle Georgia paddlers are no exception. Rainbow and Brown Trout are two of the most popular fish caught by sport fisherman in Metro Atlanta as a result of the r elease of water from the bottom of Buford Dam, which has changed the historic warm waters of the river to a chilly 48 degrees and in turn the species of fish that are able to live here. 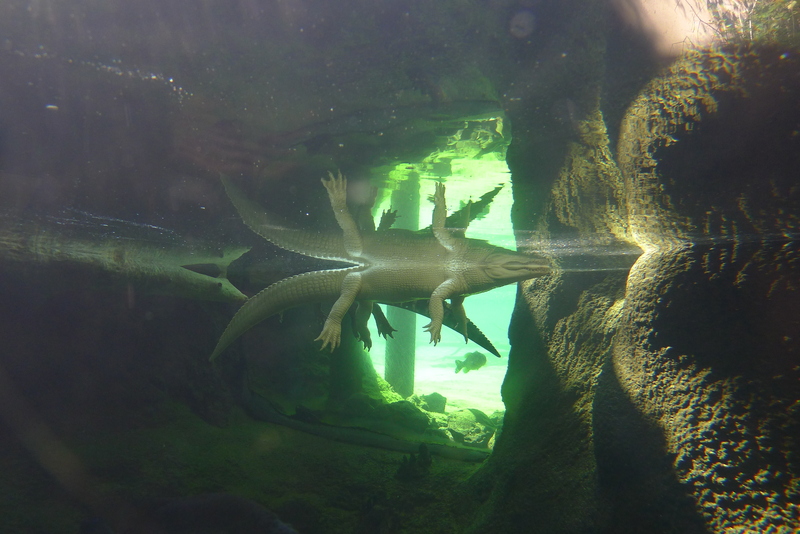 Participants learned more about this at the Buford Trout Hatchery today, where millions of trout are stocked into the Chattahoochee and other Georgia rivers each year. But the frigid water didn’t stop kids and adults alike from whipping out their super-soakers and squirt guns and spraying each other down mercilessly with glee- Yippee! 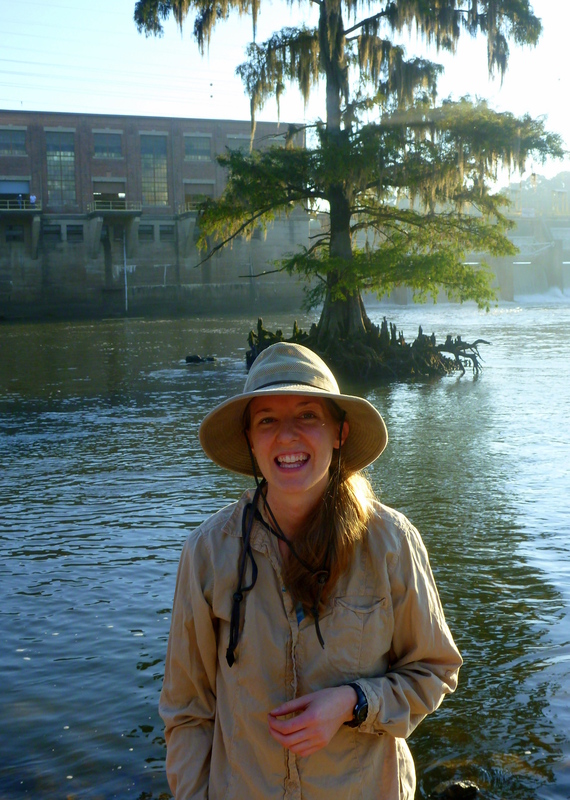 The evening was also filled with excitement as Georgia River Network Development Director, Davin Welter announced that 39 canoe-A-thoners raised a stunning $44,000 this year, the most we have ever raised yet! WOW!!! Terry Pate took the gold again this year, raising $6,205; followed by John Branch, Tom Beman and James Watson with assistance from his dad Tim. We are so very thankful for everyone’s hard work, support and success in taking on this challenge with such vigor and enthusiasm! So excited about tomorrow’s journey! 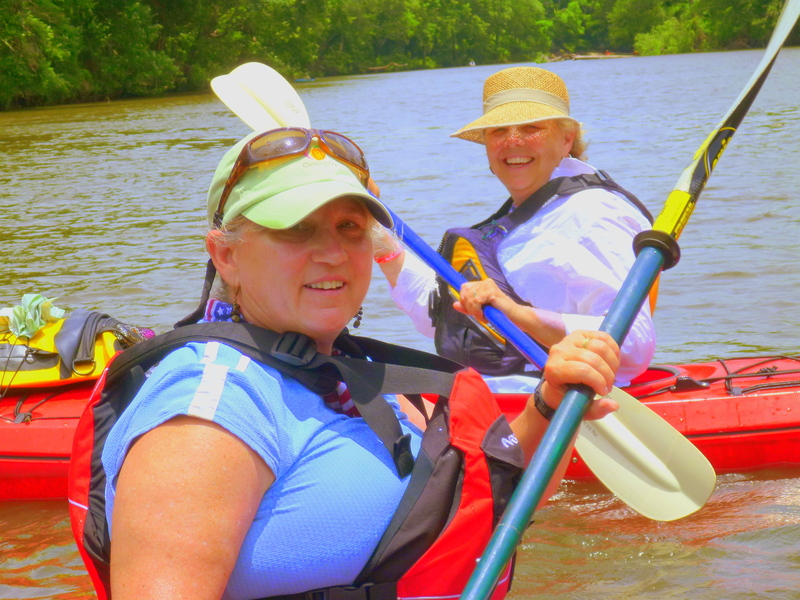 Paddle Georgia 2014 ~ 10 Year Anniversary Kicks Off to a Great Start! 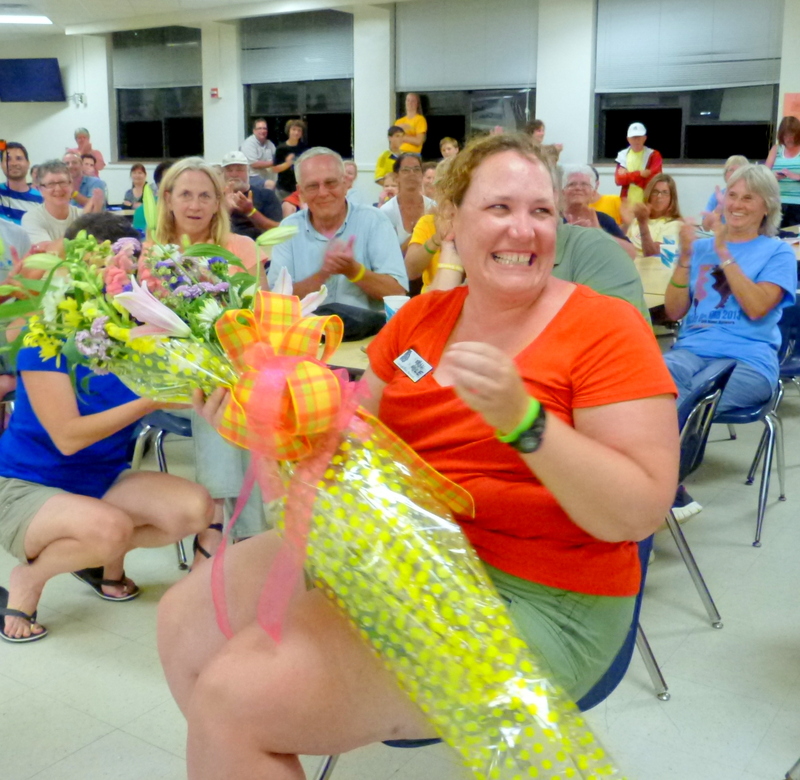 Paddle Georgia 2014 has finally arrived for the four hundred and fifty lucky paddlers who won the lottery to attend this year’s 110 mile journey on the Chattahoochee river through Atlanta, and like Leslie Avra, they are toe-tally ready! Volunteers, staff and Paddle Georgia interns arrived bright eyed and bushy tailed at Lambert High School to prepare for everyone’s registration en-mass and we can’t thank them enough for their hard work and support… We couldn’t do it with out them! H I G H F I V E! We are always excited to have a large number of novice paddlers join us every year and to assist in boosting their confidence we offer a paddling workshop, which this year was led by extraordinary paddler Steve Kramer. The excitement and fervor heightened as the shuttle buses arrived and people dropped their luggage with yelps of joy as the y reunited with Paddle Georgia buddies from year’s past. Not only is this year special because it’s Paddle Georgia’s 10 year anniversary, but also because we are stepping up our sustainability goals a notch by going beyond recycling- and composting all of our food waste for the first time, thanks to help from Kevin S mith with Keep Forsyth County Beautiful. The classic Paddle Georgia ‘Tent City’ quickly emerged from the Lambert High playing fie lds complete with pirate flags and mansion sized abode’s. Paddle Georgian’s don’t mess around when it comes to comfort after a long day paddling. 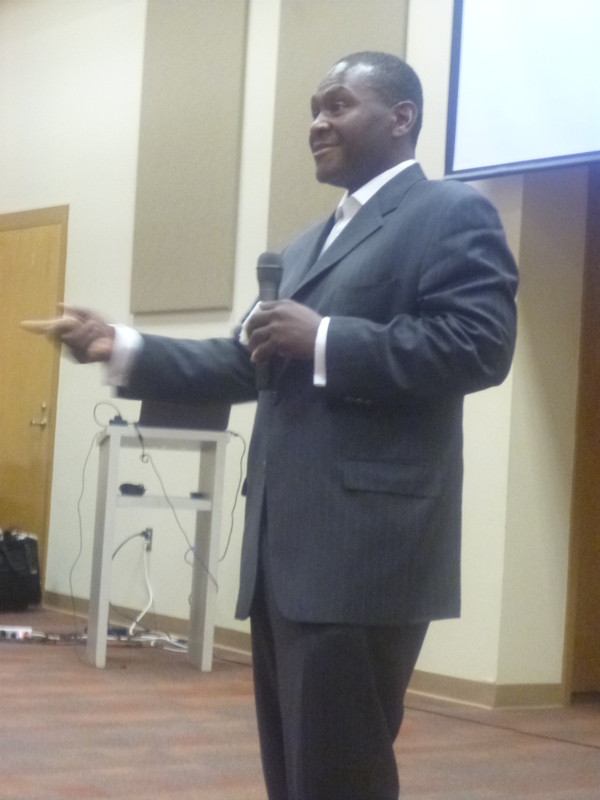 By 8 o’clock the crowd was a buzz with exuberant conversation, as everyone settled in, found friends, made new ones, and devoured a delicious dinner provided by Satterfields Restaurant & Catering. Paddle Georgia is not just for the hard-core paddler or the river rat, but incl udes the young and old, and people of different abilities and backgrounds. 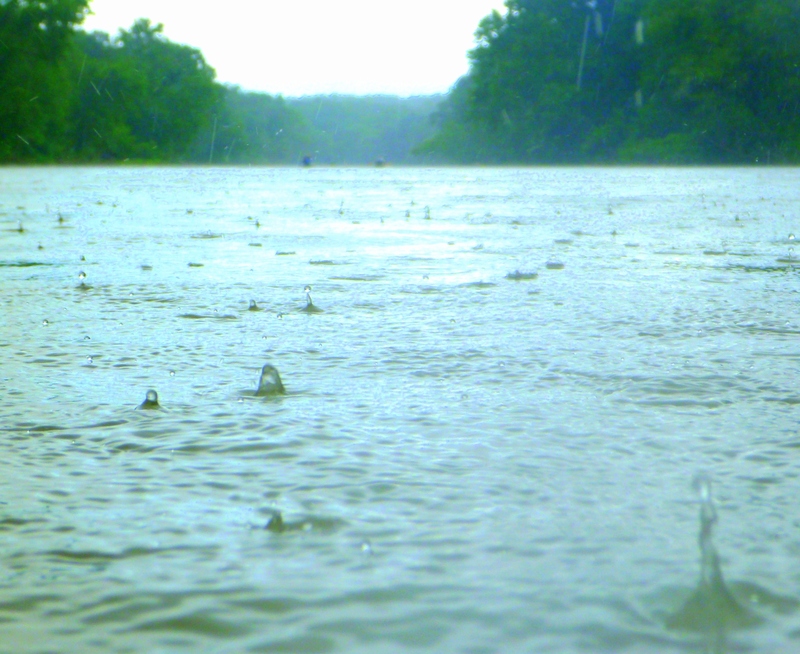 Paddle Georgia allows everyone to join together as a community of paddlers and become part of a bigger movement of river restoration and protection efforts, achieved through getting to know the intimacies of a river. 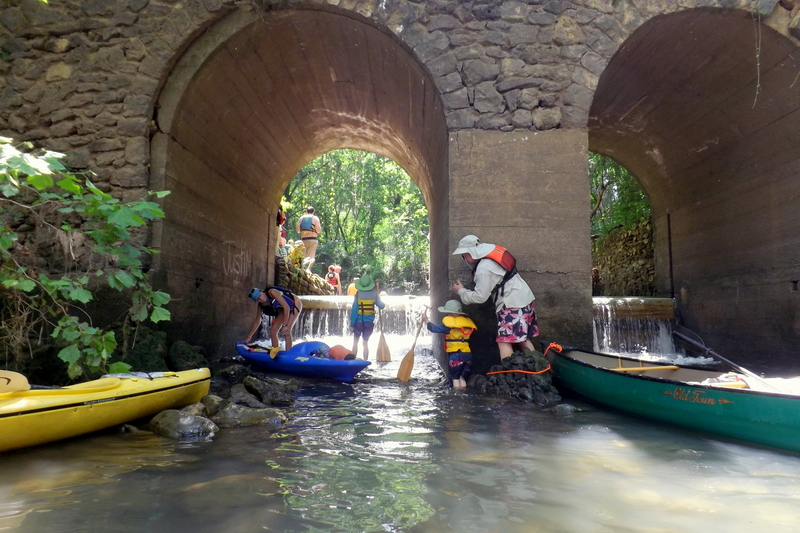 You just have to be prepared to get a little dirty, spend 7 days on a beautiful river, learn a lot, and have a whole lot of fun with great people! Can’t wait for our first day on the Hooch to begin! Congrats Cindy Leighton! 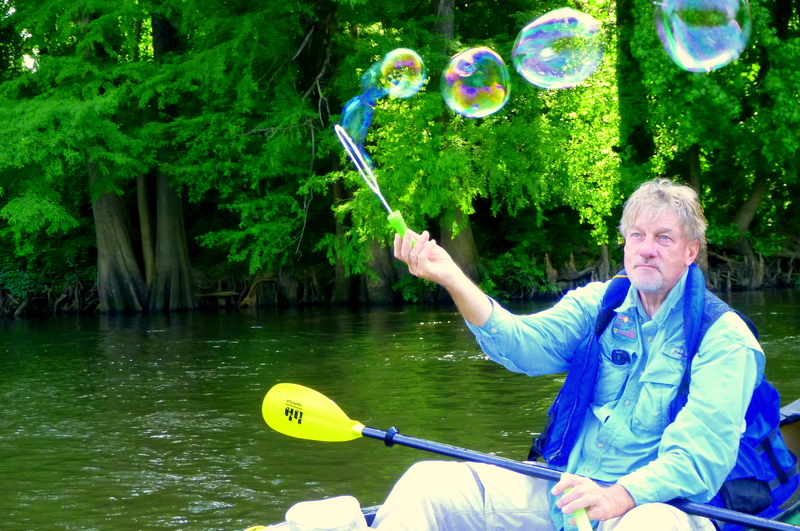 Winner of Best Paddle Georgia 2013 Photo! 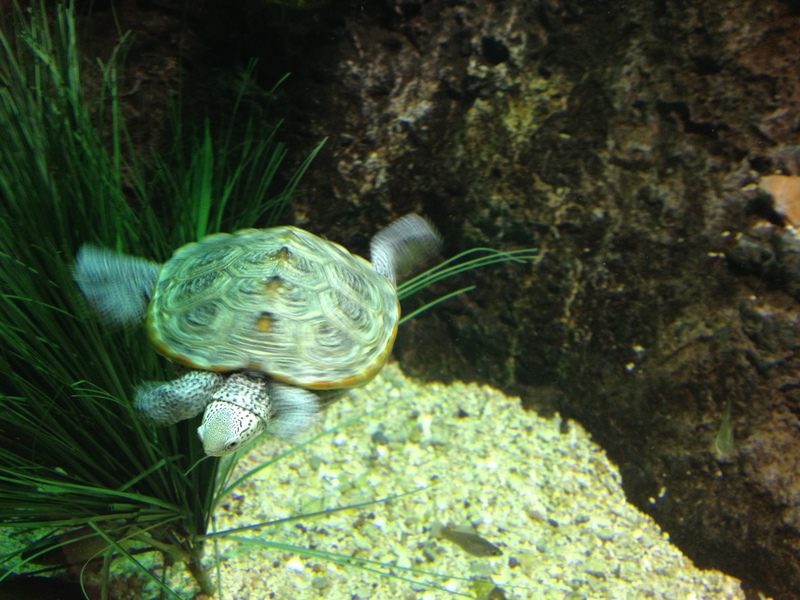 Check out the slide show below to see all of the amazing photos submitted! So this is the scoop, each month we have a different theme and invite you to send us a photo that you think best represents the topic of the month. We will showcase everyone’s photos on our website and social media and one photo per month will receive the illustrious title of ‘GRN Staff Pick of the Month’ and the chosen photo’s author will receive a surprise token of gratitude. Looking forward to seeing your AMAZING photos! 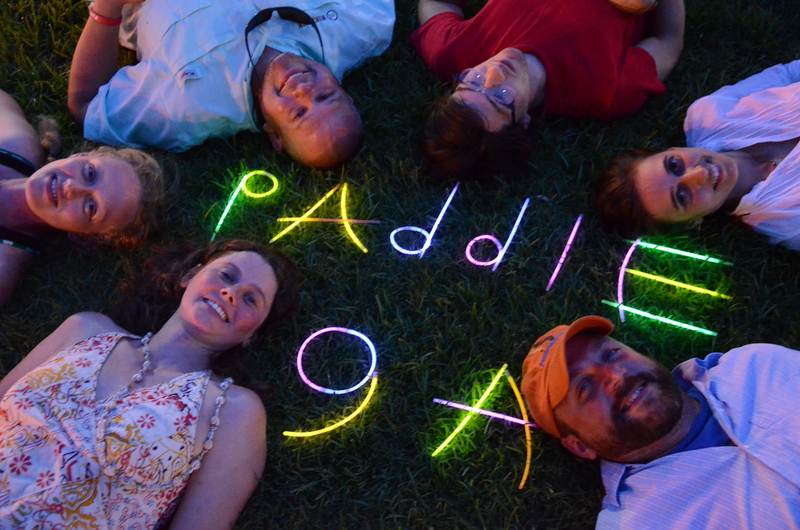 Want to see more photos from Paddle Georgia 2013? Limestone Limbo ~ 21 Mile Hump Day ~ What a Blast! We have officially reached the half-way point of Paddle Georgia 2013 with 3 days of awesome paddling behind us and 3 more ahead. Everyone really enjoyed their stay at Chehaw with their friendly staff, beautiful grounds and comfortable facilities and we were all sad to leave, but excited about the new digs in Camilla. 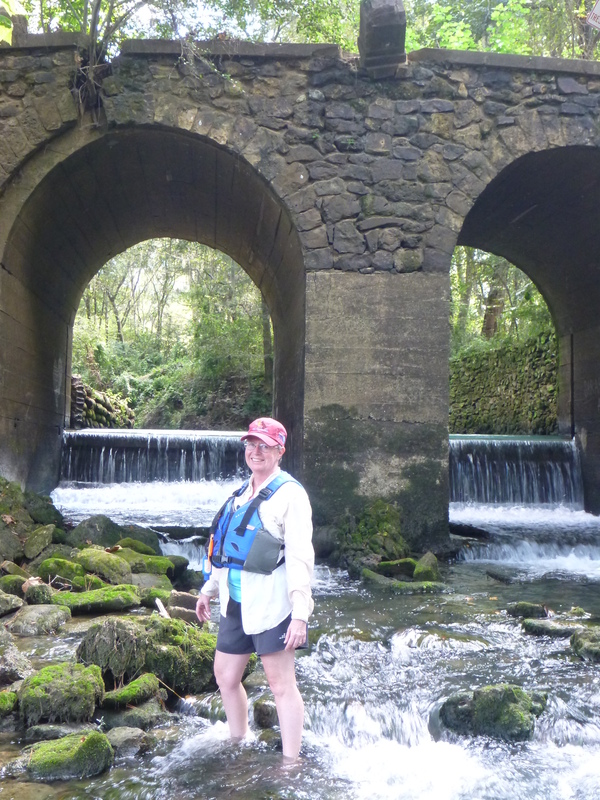 Although everyone seemed to cringe at the mention of a 21 mile paddle – the current was the fastest we’ve had yet and we scooted swiftly along. 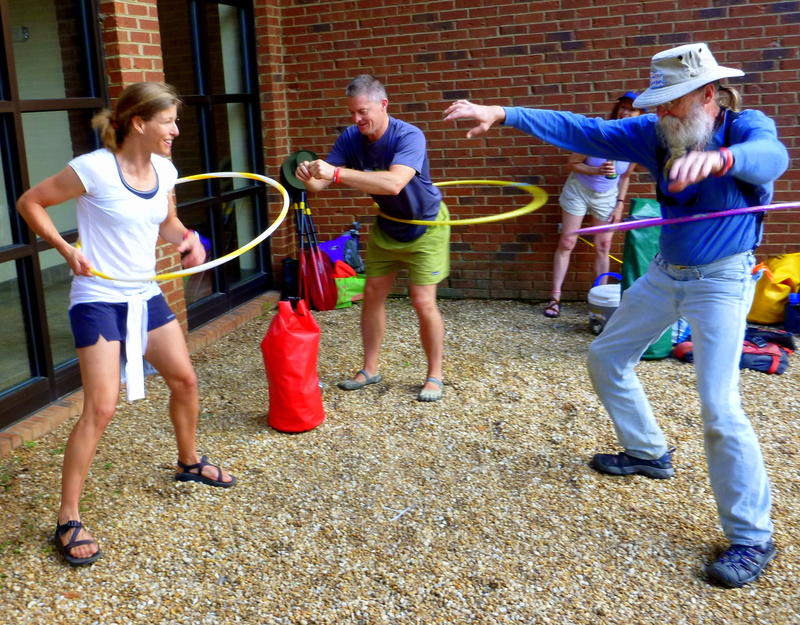 Playful paddlers, as always we encountered hoola hooping in the morning and bubbles in the afternoon. Red Tailed Hawks, Belted Kingfisher, Bob Whites, Pileated woodpeckers, and Green Heron could be heard and occasionally seen through the canopy that shrouded the winding river. 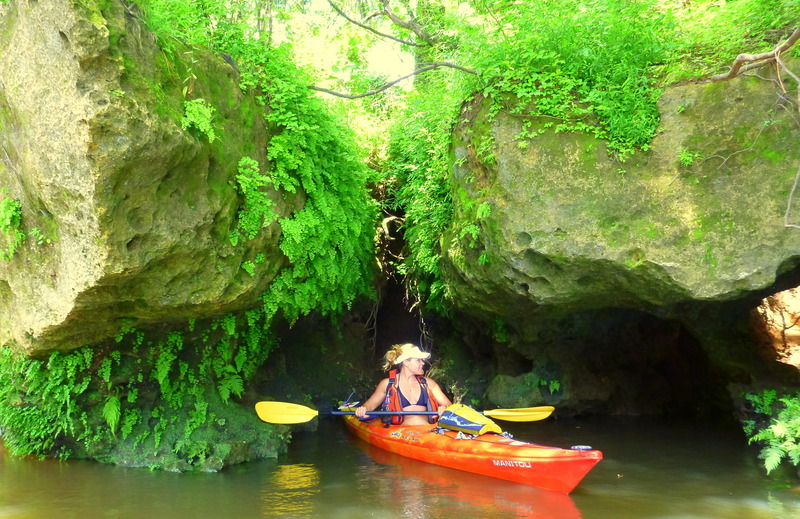 The limestone caves along this stretch were beautiful and mysterious with their tight crevices and dangling ferns that formed curtains on the rock walls surrounding the cave mouth. 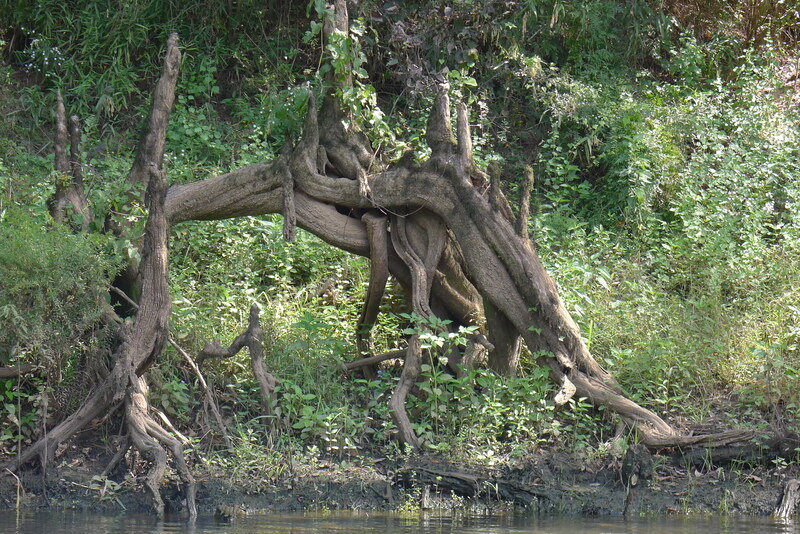 Twisted, gnarly roots of Sycamore and Cypress trees reached out like fingers and hands holding back the river bank, their knees jutting up out of the water resembling mud castles at the beach. And even with the usual swimming, lounging, and jumping from rope swings paddlers completed the trip in record time, and were shuttled to our new home of Mitchell County High School. 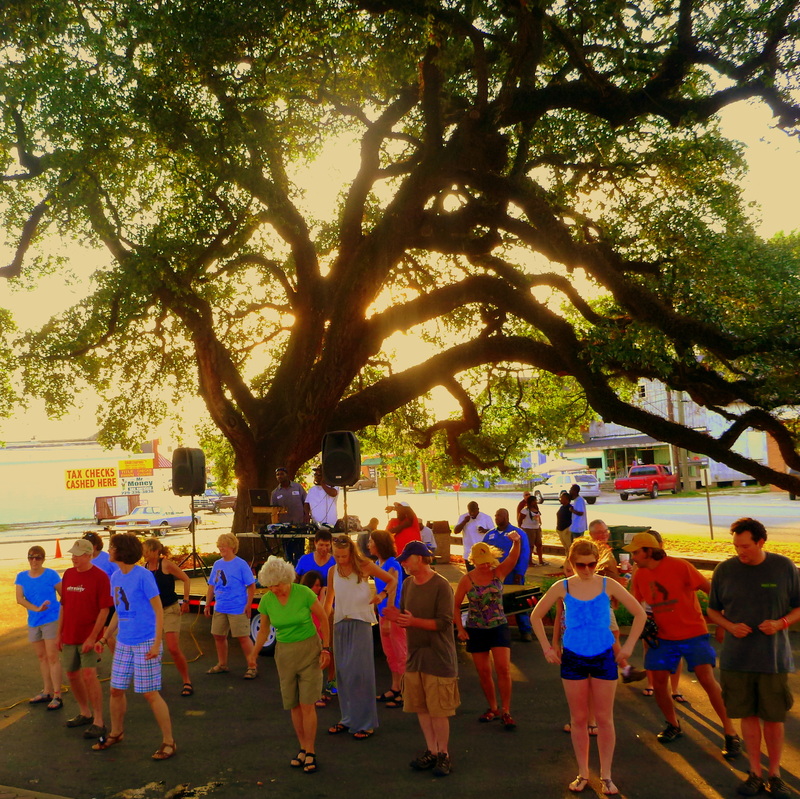 And what a better way to end the day than with an awesome street party in Camilla! 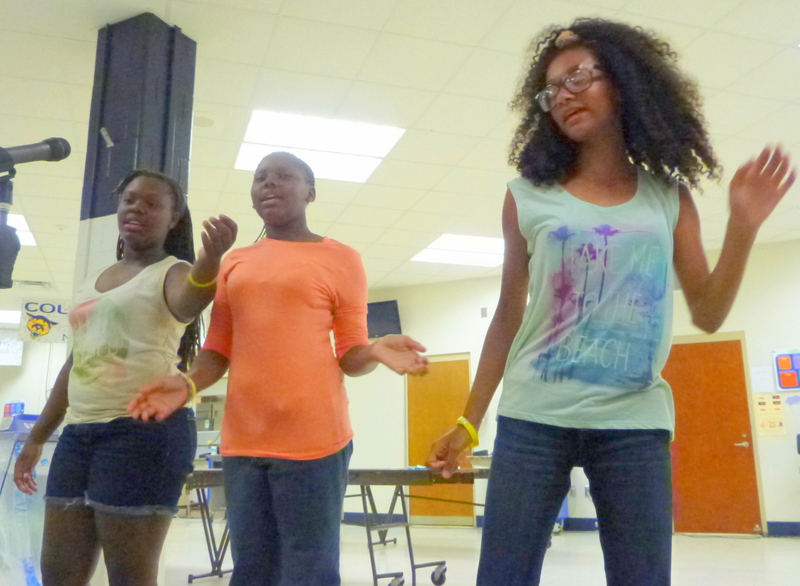 It was great to see everyone boogying down and enjoying themselves so immensely. Looking forward to another day in South Georgia paradise tomorrow!